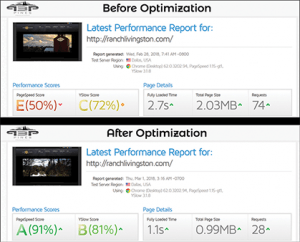 What Is Website Performance Optimization? Have you ever bought a car that seemed to just not be quite right? You know, it was pretty to look at and sounded pretty good, but it just didn’t seem to perform like you had expected. You couldn’t quite put your finger on it, but something just didn’t seem right. That’s how it is with websites, too. It may look good and all of the information is there, but it just doesn’t perform! You can think of the website like that shiny new car. Beautiful on the outside, but someone put a used, 100,000 mile engine under the hood! It’s sluggish, and kind of embarrassing. When a website’s performance is lacking, it can result in a slow-loading site, which results in visitors leaving before the site even loads. That’s called a bounce rate. It can also result in the site not working properly on mobile devices. Again, if people can’t use it they’ll leave it. There are several other aspects that make a site perform well, or poorly, but these are the two major ones. We’d like to help you with that. 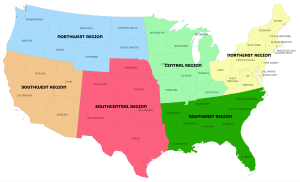 Select your region of the country, on the map below. This will take you to our local office, in your regional area. Take a minute to fill out the form, there, we can show you how to do a performance evaluation of your site. We absolutely will not flood you with junk email, we won’t sell, lend, or in any other way give your email address to anyone. We have to do it this way to control the number of people going through the website testing process. We prefer that only those serious about their website performance, and fixing it if it needs it, go through this test. These are just a few of the tasks we’ll complete, when we optimize your website. There are many ways you and your business will benefit from our work. What this means for you, is a greater visibility and opportunity for sales.